In the early 1990s, they were directly responsible for cracking open the coffers of the Southern rap scene and offering the rest of the nation a glimpse of its jewels. 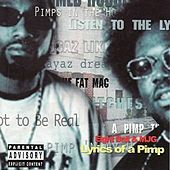 Now that their decadently rich Southern flavors have had ample time to sink in, Memphis veterans 8Ball and MJG are undisputed rap royalty. Together with Suave House Records owner Tony Draper, the duo offers a prime example of how to cultivate an original style, not to mention how to grow an independent record business. Pimpology is the name of their game, and the group is as much a staple of the Southern player lifestyle as thick drawls and gold teeth. 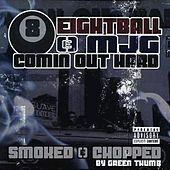 The contrast between their deliveries -- 8Ball with his lazy, molten flow and MJG with his gruff, fiery energy -- gives them much of their spark, and their detailed, keyboard-based Funk has only gotten better with time.